One of the best things about mornings-only lectures at a VETS conference is getting to choose your own adventure every afternoon. After a great time in the canopy thanks to our new friends at Kohala Zipline, we decided check out the town of Kapaau and the surrounding area. Our first priority was to eat, and we were fortunate to find Gill’s Lanai. 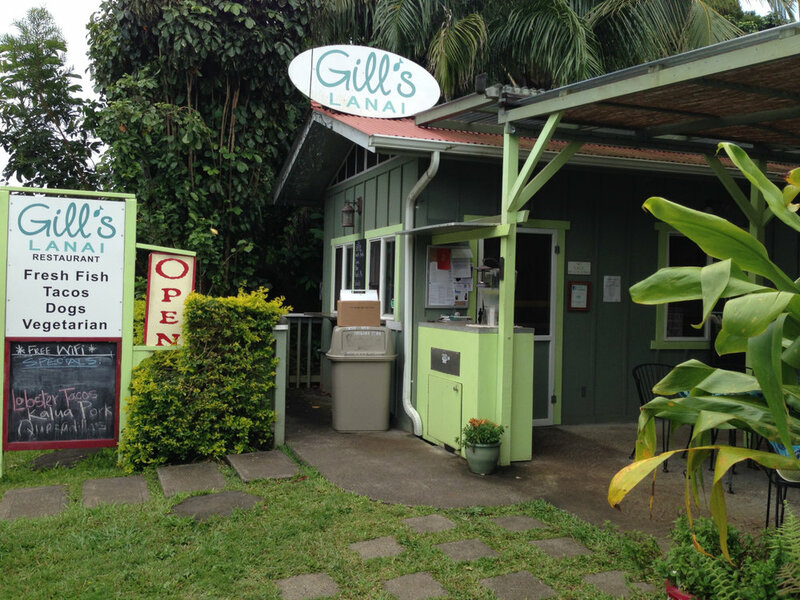 Word on the street was that if Gill’s had mahi mahi for the Fish & Chips then it couldn’t be missed. I did have the Fish & Chips– and appreciated that the seasoned coating on the mahi was very light. This wasn’t one of those heavy beer-battered deep fried coatings that made you drink a gallon of water for the next eight days. Instead, Gill’s seasoning on the mahi complemented the moist, tender, flaky and succulent fish beautifully. Others in the group enjoyed the Fish Tacos, the Lobster Tacos and even a Hot Dog. All meals were prepared fresh and were equally delicious (even the hot dog was great.) I also enjoyed a mango smoothie, which was incredibly refreshing on a warm Hawaiian day. There are no pictures of the food because: 1) I think that posting pictures of food can be annoying, 2) it’s food– it really can’t be appreciated until you taste it, and 3) we were hungry. 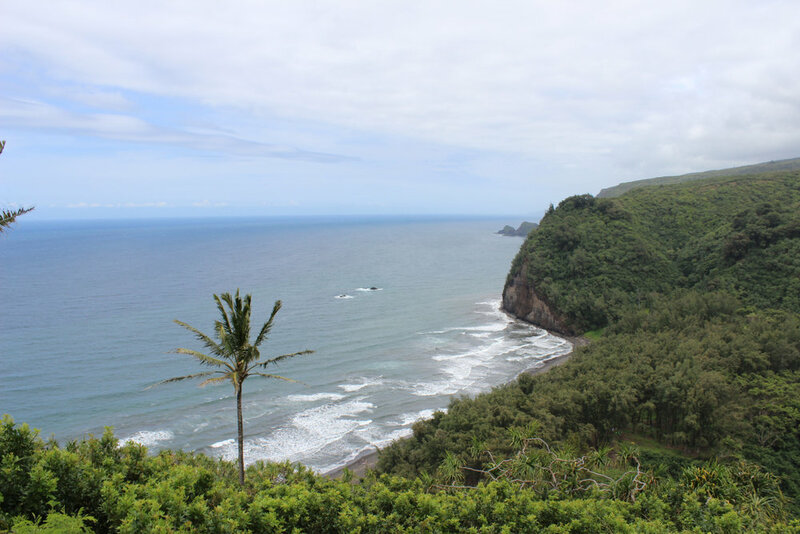 After lunch, we continued the journey to the Pololu Valley Lookout . 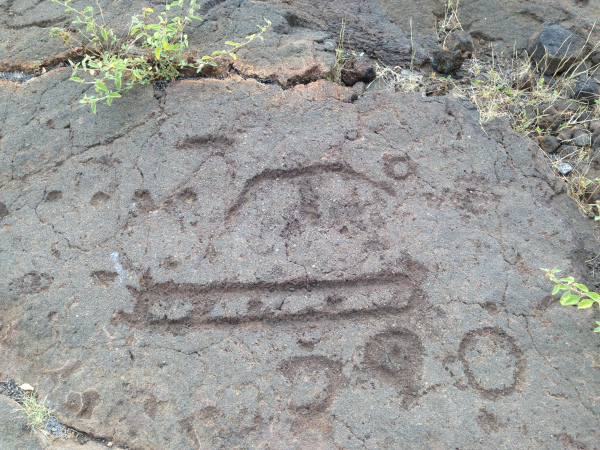 . . just a few miles further down the road in North Kohala. 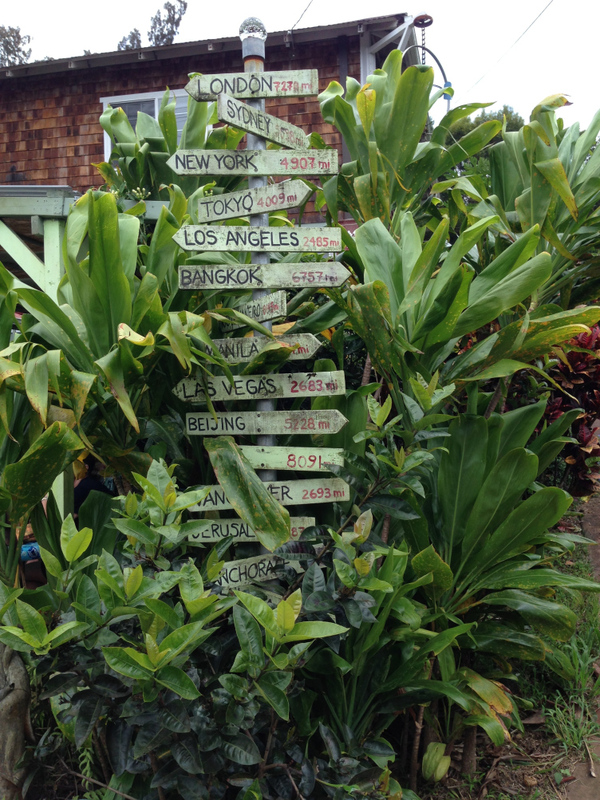 It was a scenic drive made more interesting by glimpses of the untamed Big Island coastline and the occasional home, barn or church. 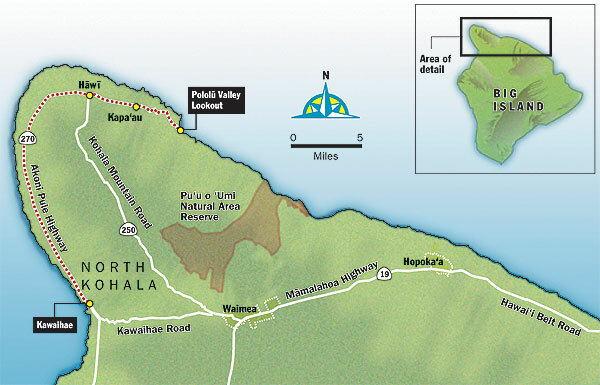 At the end of the road, you’ll find a parking lot and the Pololu Valley Lookout. 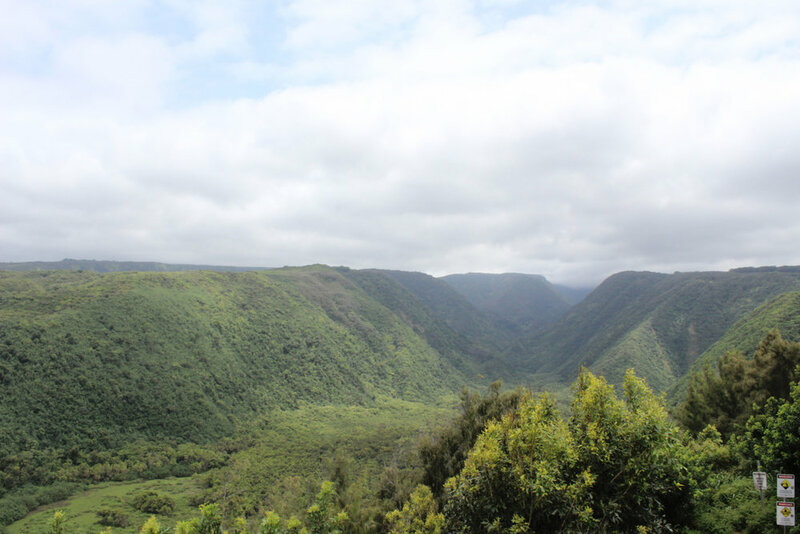 Turn to the right and you’ll see that the Pololu Valley looks as though it was carved out of the surrounding jagged rock by a giant plow. 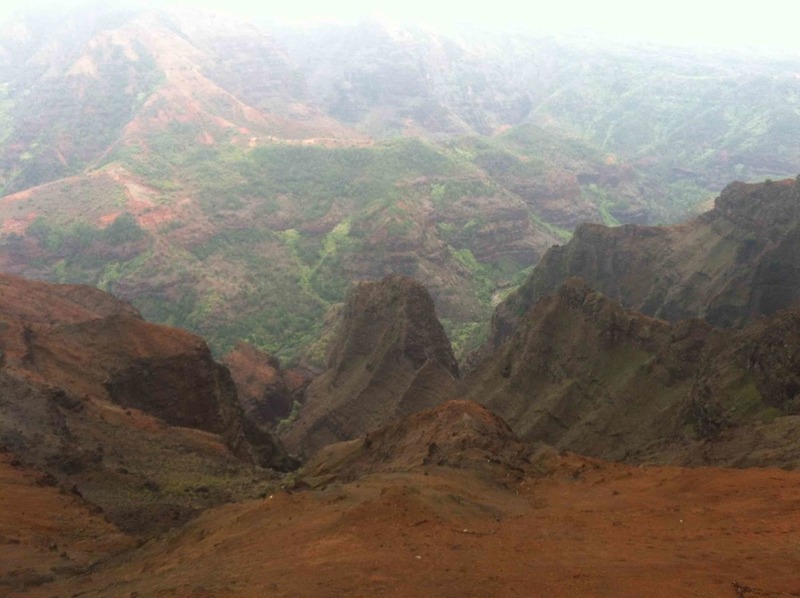 Look to the left, and you’ll notice that the Pololu Valley leads straight toward the ocean. From this vantage point, there is a steep hike down to the water below, if you should wish to take it. I followed the instructions, and since this is the “Lookout” point, I chose to look out and not hikeout. Rumor has it that the black sand beach below is gorgeous, but swimming there is strongly discouraged. Ah, another glorious afternoon in Hawaii. Now, it’s time to head back to the hotel and drink a Lava Flow!